You don’t need to buy expensive wax products to get your wooden floors shining again. 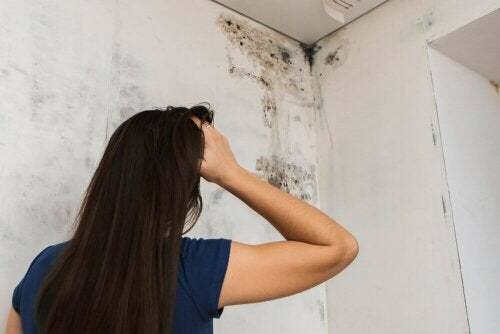 While it’s true that these products are effective, there are some alternative options that provide similar results without the need of using aggressive chemicals. Best of all, they help keep your wood floors in great condition by removing dirt and preventing stains and cracks from forming. They’re also environmentally friendly options because they’re made with 100% natural ingredients. Do you want to get your wooden floors shining naturally? There are a lot of people looking for these kinds of options. So, continue reading to find out about five of the best natural products you can use for this task. The combination of beeswax and olive oil creates a homemade wax product for wooden floors and furniture. 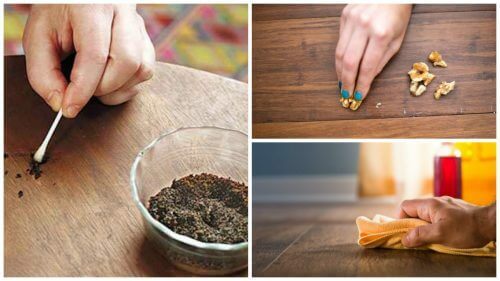 You can even add a little scented oil extract for a pleasant, fresh smell after you clean them. Place the beeswax into a heat resistant container and melt it in the microwave or a double boiler. Once it has melted, add the olive oil and mix well. After two minutes of being over low heat, allow it to cool. Store this mixture in a jar. Soften some of this wax in the microwave and rub it on any wooden surface that needs a little shine. Polish with a soft cloth or a mop until you get the desired effect. Due to the oil and moisturizing properties, coconut oil can work as an alternative product to get your wooden floor shining again. If you also combine it with some lemon juice, you’ll get a disinfectant product that fights mites and bacteria. Melt the coconut oil in a double boiler and combine it with the lemon juice. Store this in an airtight container until you’re ready to use it. 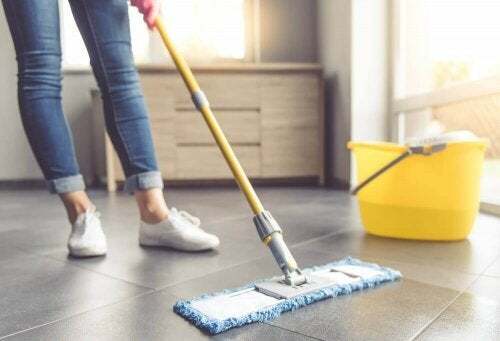 Apply this mixture to wooden floors and polish with a dry mop. Allow it to absorb without removing it. The mixture of white vinegar and olive oil results in a complete wooden furniture and floor cleaner. Antimicrobial properties help disinfect any surface, while the oily compounds give it shine. Pour the white vinegar into a deep bowl. Spray wooden surfaces with this solution and rub it with a cloth or a soft rag. Clean until you get the desired level of shine. 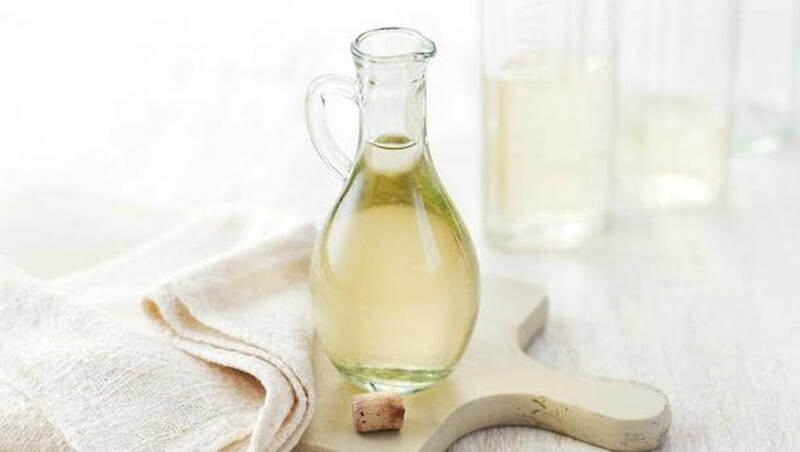 If using olive oil isn’t an option, then you can always enhance the cleansing effects of white vinegar with a little jojoba oil. Although this will act in a similar to the previous solution, it’s great for deodorizing and disinfecting surfaces. Combine the white vinegar and jojoba oil in a bowl. Apply this product to any wooden surface and allow it to act for a few minutes. Polish until the surface begins to shine. Almond oil contains moisturizing properties that will get your wooden floors shining again without much difficulty. Applying it directly softens the surface and eliminates any stains formed by dirt building up. Add the oil to a bowl and stir in the water. 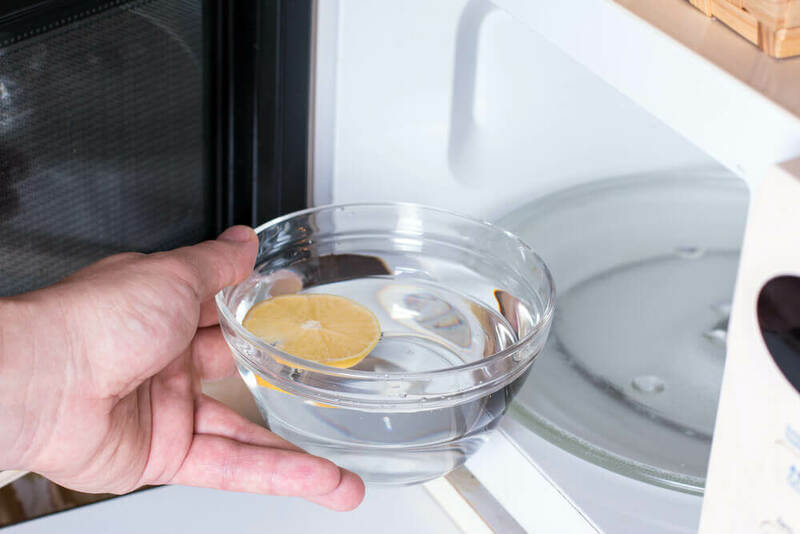 Avoid using hot water because it can ruin the properties of the oil. Spray this mixture on the surface you want to clean and polish with a cloth. 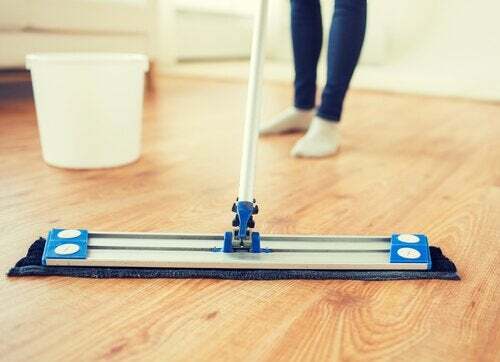 Have you noticed your wooden floors or furniture looking dull and dingy? Try one of these natural solutions. As you can see, they’re easy to prepare and all the ingredients are harmless to you and the environment.